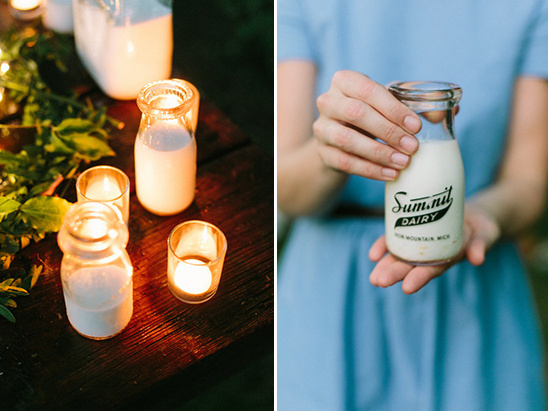 Simplicity is beautiful, and this farm table wedding inspiration has captured that beauty perfectly! 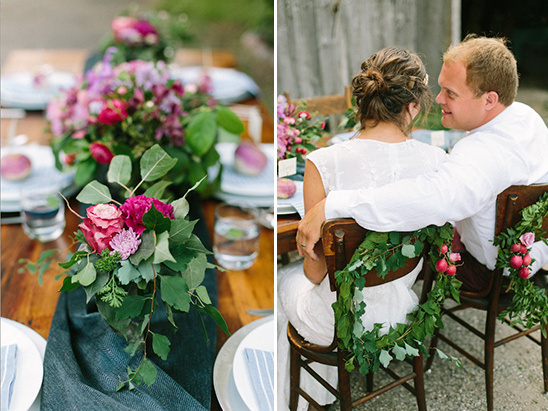 Le Bash and Laurelyn Savannah Photography worked with local and seasonal elements to pull together these gorgeous down-home and organic wedding ideas. 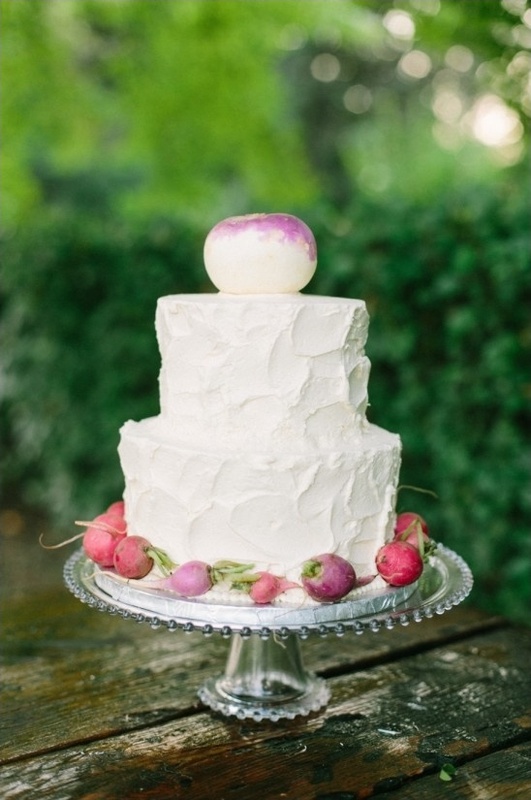 Trust us you will never look at or of think of radishes and turnips the same way after seeing this fantastic farm wedding kept local. 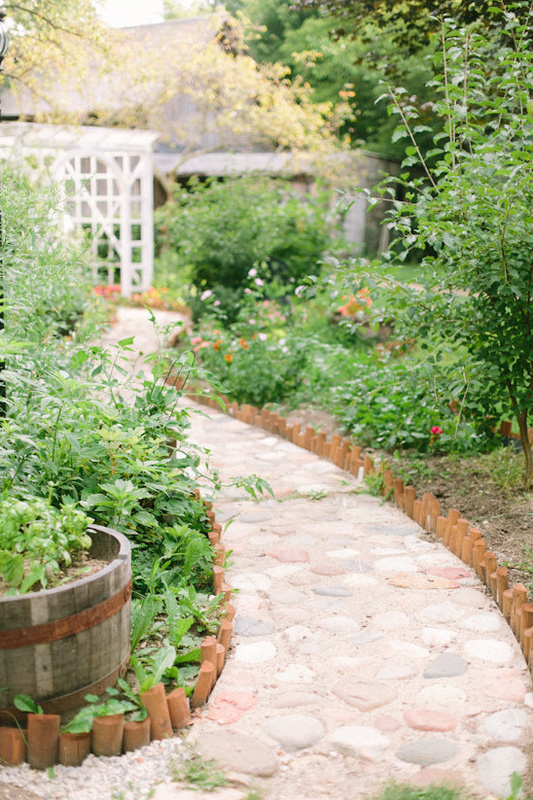 You can see more by visiting the full gallery here, it's well worth the click! 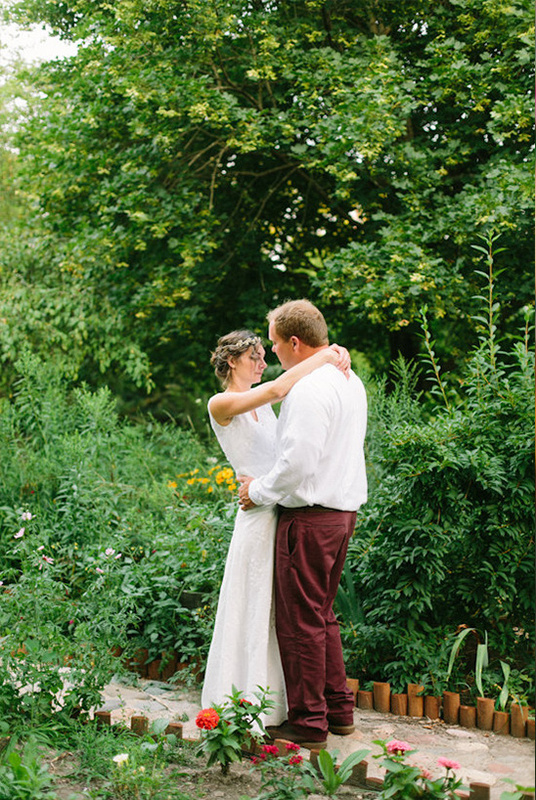 Monirose, who provided the custom gowns, worked with us to create something completely unique and visually stunning! 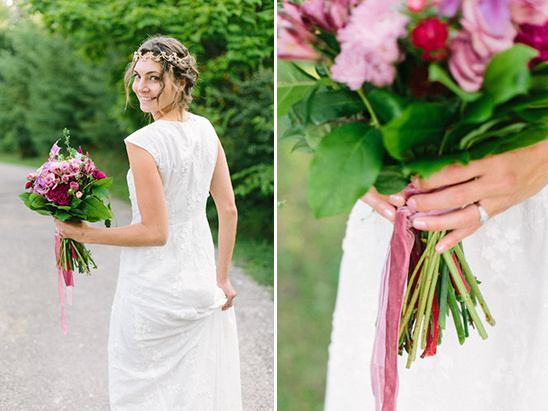 Based on the rustic farmhouse-style venue she put together two incredible pieces that speak to casual elegance, and the stylist added a touch of bohemian flair with the headpieces and jewelry. 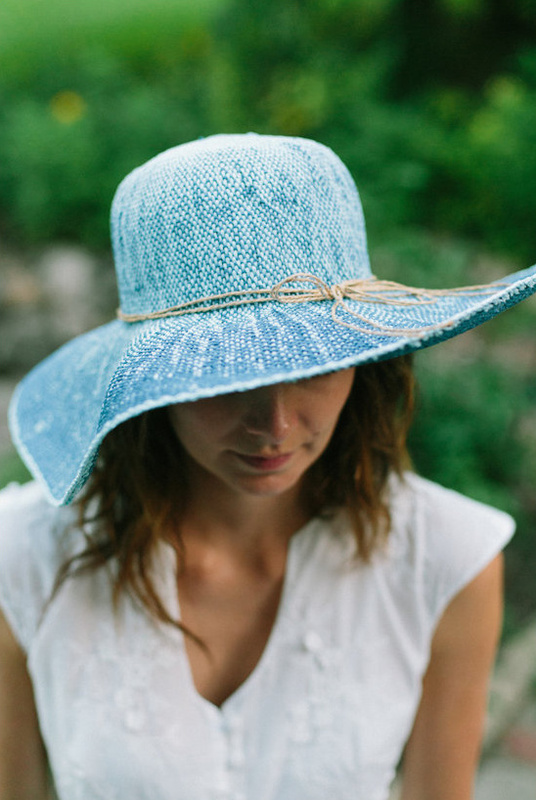 Be still my cotton-and-chambray-loving heart. 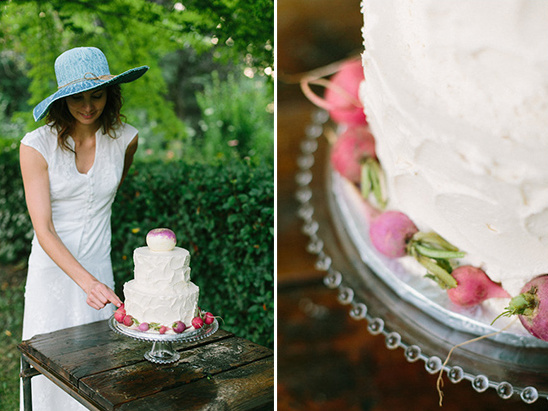 Kate of Le Bash incorporated seasonal produce like radishes and turnips, readily available throughout summer and fall, as part of the floral arrangements to add color and natural texture. 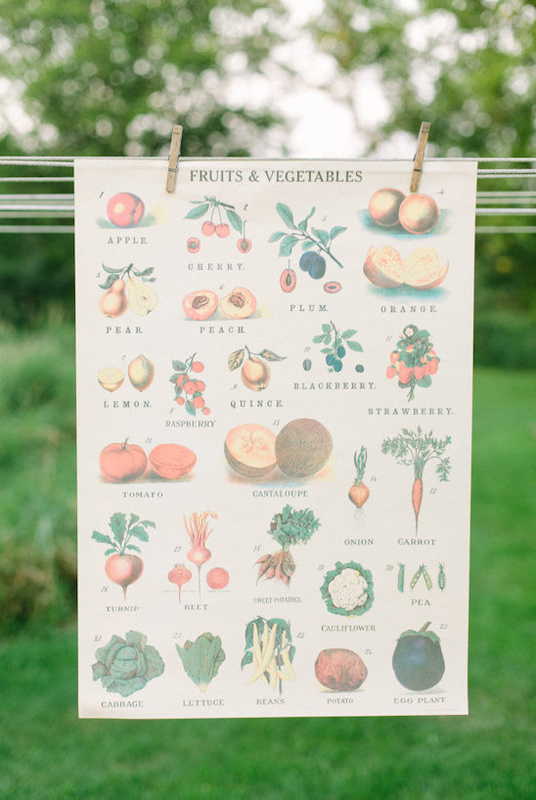 They make for a perfect project for any DIY-ambitious brides, being hearty and able to withstand a variety of weather conditions. 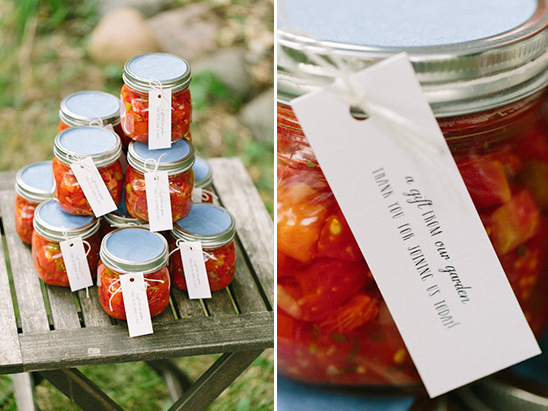 Make homemade salsa as your wedding favors. 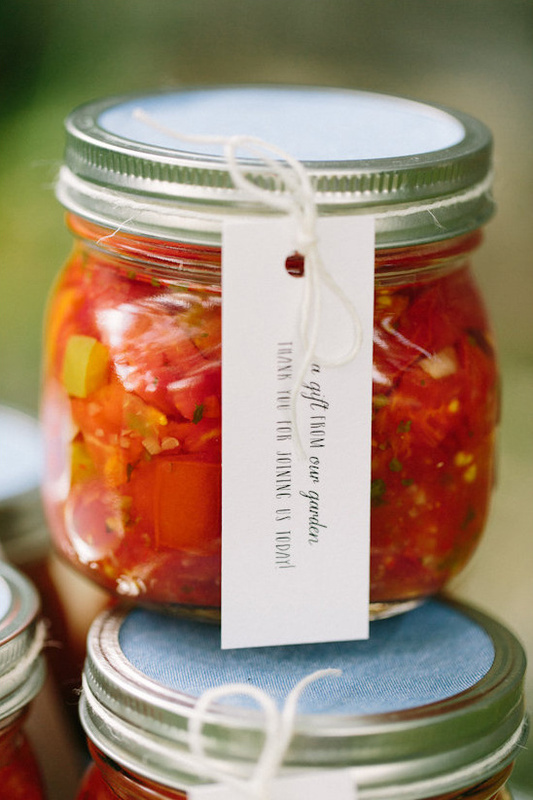 We are huge salsa fans, and would truly appreciate and use a fresh jar of homemade salsa. 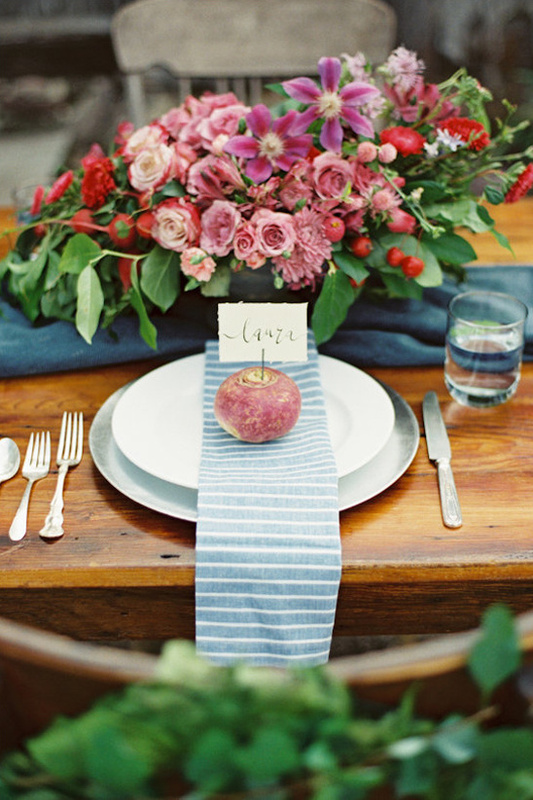 All you will need is some fresh ingredients, small canning jar and of course a cute label. 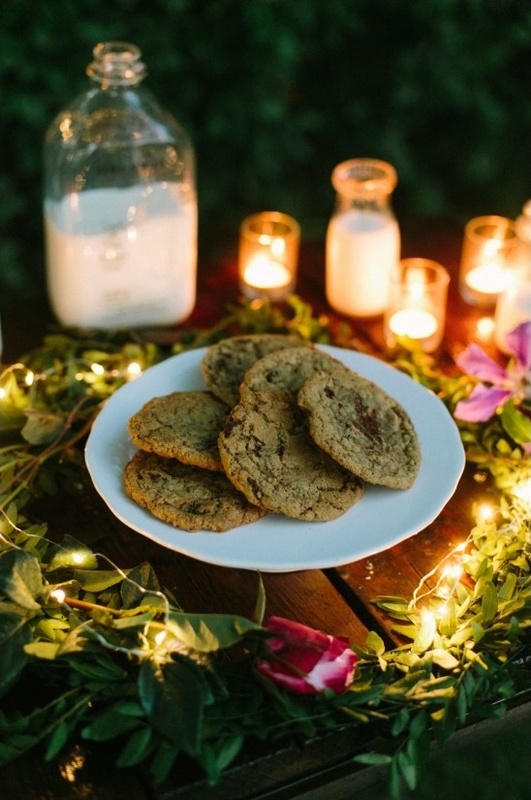 Be sure when searching around you find a canning recipe. Fresh salsa needs to be refrigerated. 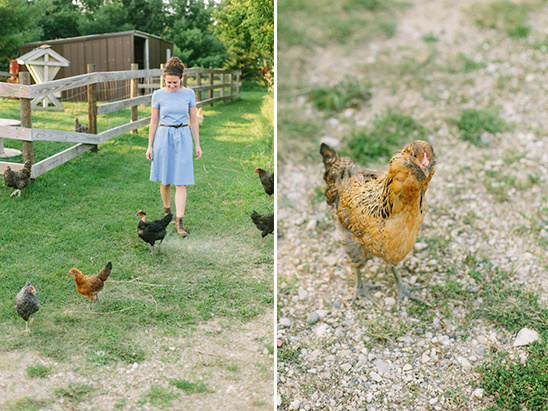 From: Laurelyn Savannah Photography:Wisconsin has such a rich culture built on its farming history; it is part of what makes this state wonderful! 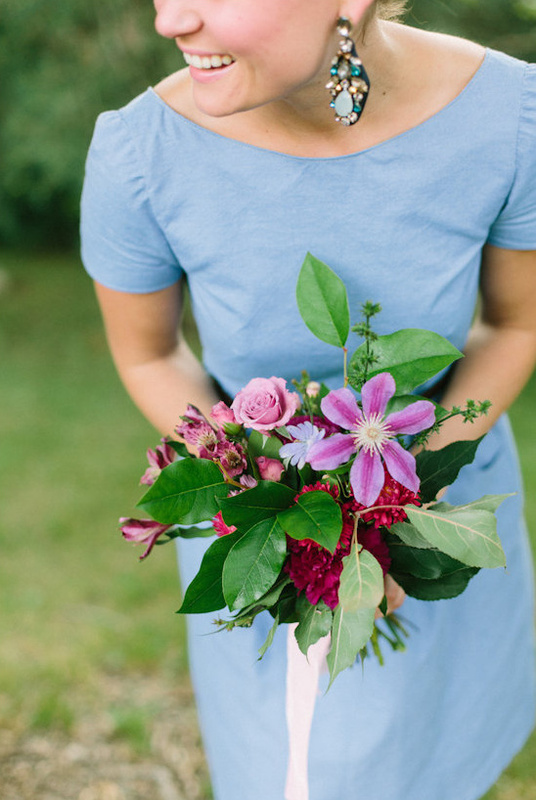 We wanted to celebrate that in a beautiful way and inspire all brides to consider using local resources in similar ways, whether it’s locally-grown foods, seasonal flowers, or other personal touches that help showcase what makes their region special. 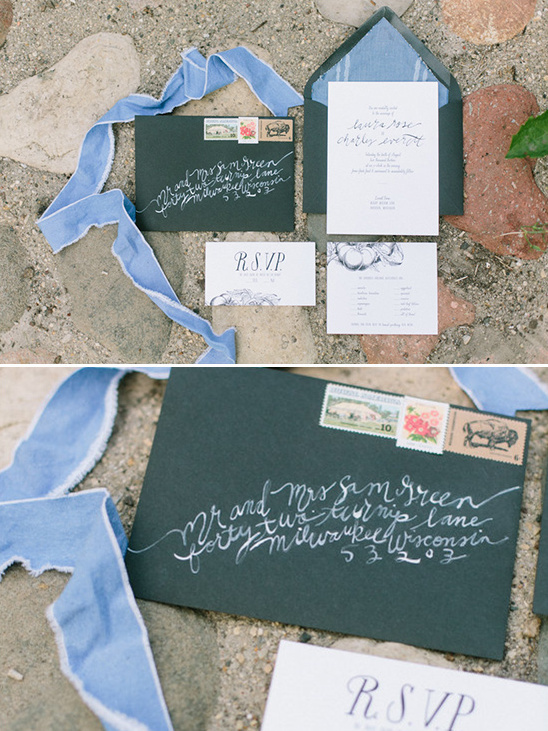 The entire concept came to life with the vintage and handmade rentals from A La Crate Vintage. 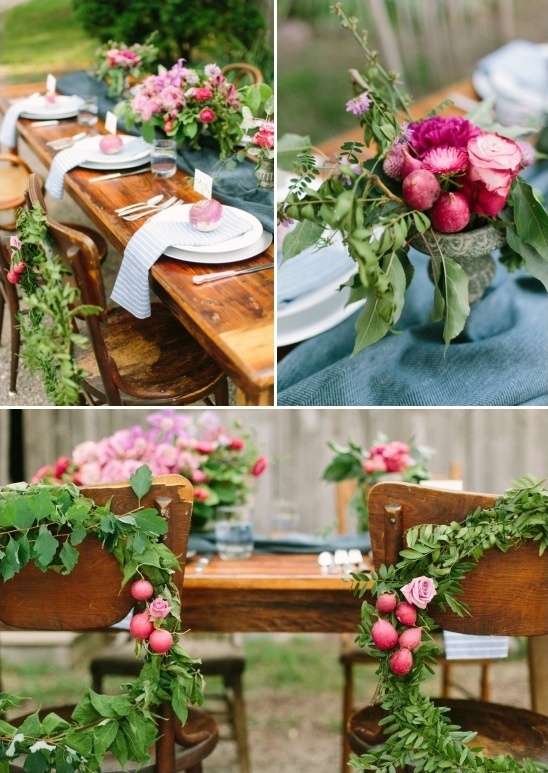 Their hand-built farm table was the perfect setting for our vibrant, ombre, floral centerpieces and chair wreaths. 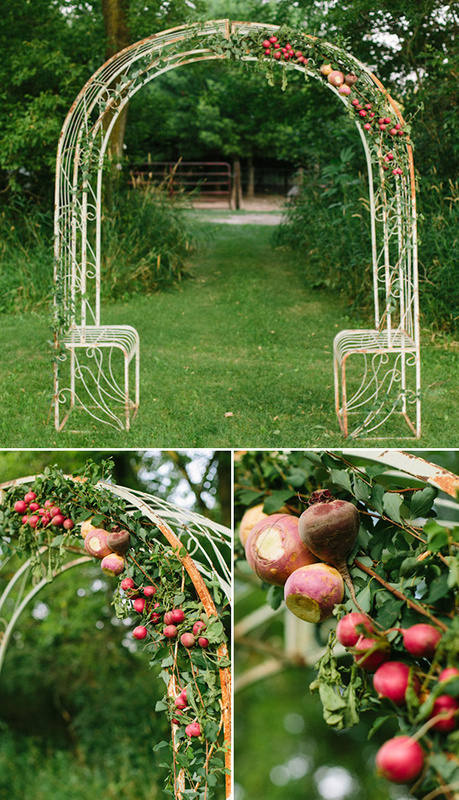 As a unique ceremony focal point, Le Bash chose to use a garden arch and adorned it with more foraged greens and seasonal produce. 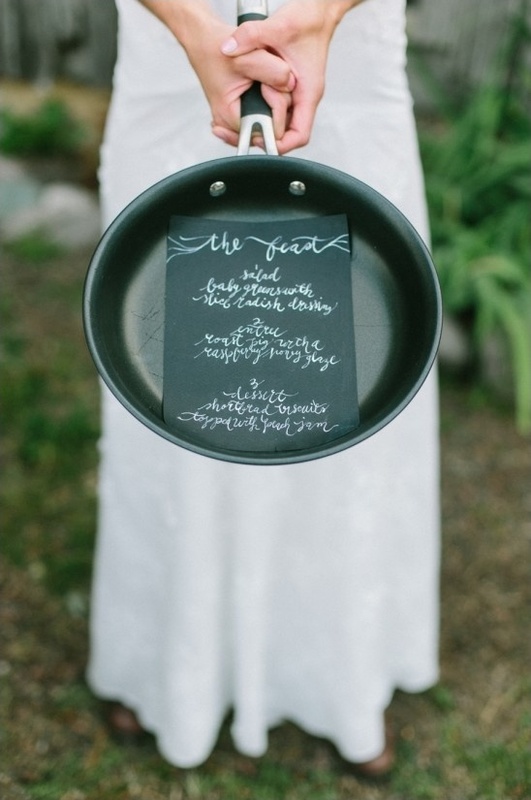 It makes the perfect outdoor setting for couples to say “I Do” in style! 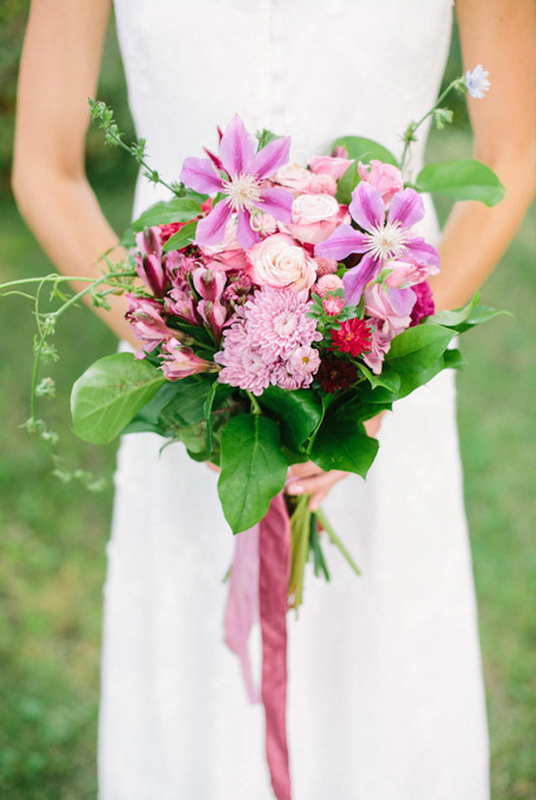 The goal of our shoot was to imagine something colorful, natural, and romantic for brides planning an elegant outdoor wedding. 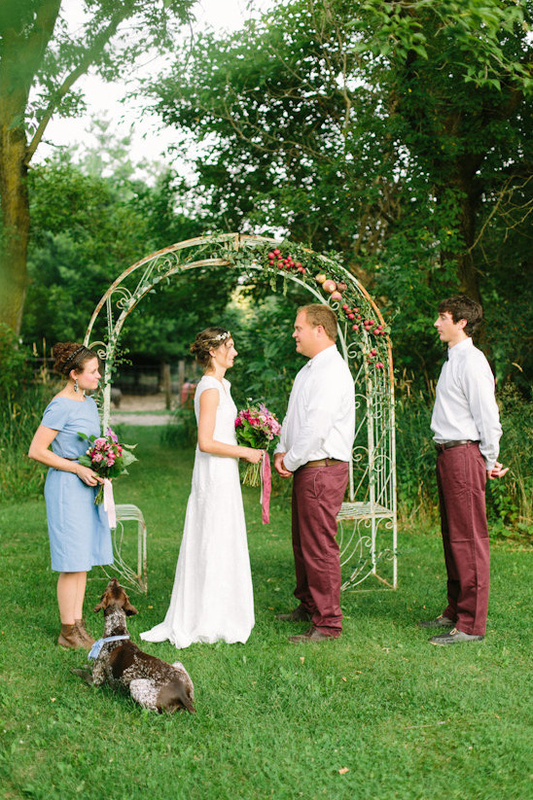 Brides have a large range of wedding location options in the Midwest, many being beautiful outdoor spaces! 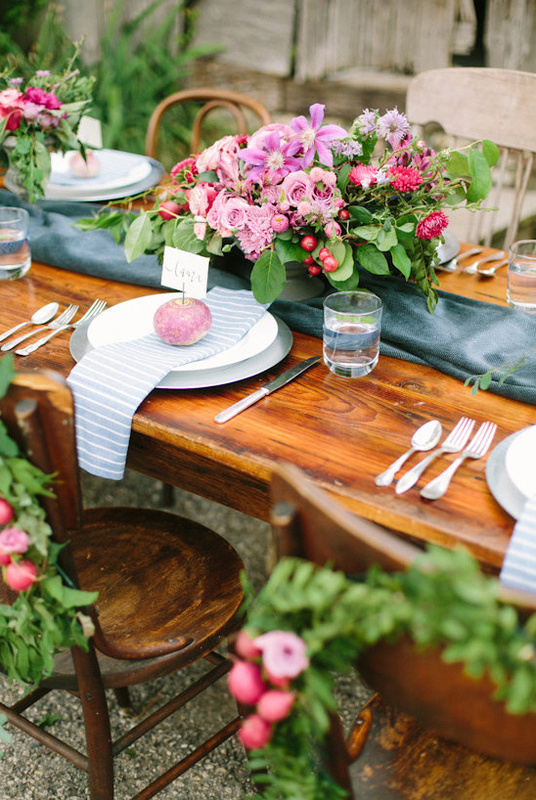 We wanted to show that working with the right wedding vendors can help brides enhance the natural beauty of the outdoors, while keeping the event elegant and cohesive. 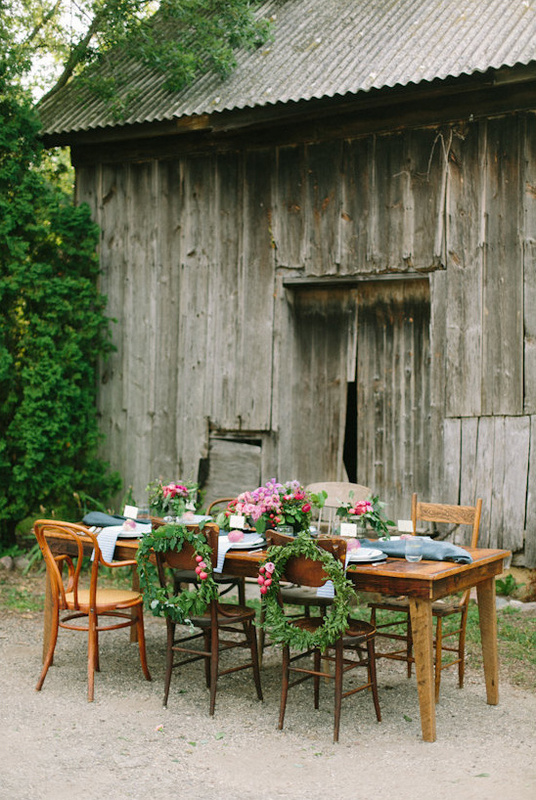 Check out the wedding film from Best Man Media below to get a closer look at this farm table wedding!